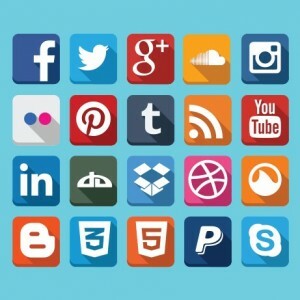 Black Arrow Marketing | Is Social Media the Next Big Thing? Years ago, when you wanted to know how your friends were doing, you’d either ring them up by telephone or pay them a visit and shoot the breeze for hours. Fast forward a few years, and the only thing you have to do now is Log into your FaceBook page, search their name, and see exactly what they have been up to (providing they have updated their page recently), perhaps adding a post onto their page to let them know you have been thinking about them. Similarly, customers now have the same abilities to type in the name of your business, check reviews, post their own, and see how you interact with other customers. How is this important to you?? According to Hubspot, statistics show that 92% of marketers in 2014 claimed that social media marketing was important for their business, with 80% indicating their efforts increased traffic to their websites. Compare that to Social Media Examiner, who say 97% of marketers are currently participating in social media—but 85% of participants aren’t sure what social media tools are the best to use. Facebook is averaging 1.23 billion monthly active users. – See more at: http://ymarketingmatters.com/why-social-media-is-so-important-for-your-business-in-2014/#sthash.3KyeDyQx.dpuf . This provides you with the opportunity to make your brand a household name. People also like interacting with other People. You’re now allowed to build one on one relationships with customers, which in turn converts more window shoppers into actual paying customers. Social Networking gives you the chance to have fun with your clients. One of our clients recently ran the #HashTagChallenge. This client used a specific hashtag, which their customers used in posting their pictures, using the same hash tag. The 5 funniest pictures won a 20% off discount code! While there were well over 5 customers who joined the competition, the activity was fun and allowed their customers a look into the personality of the individuals they were doing business with. This also drove in more sales, naturally as the 5 winners placed their own orders from wining the contest. This also closed additional sales from the non-winners that participated. Everyone feels included. Everyone has fun. Everyone logs off happy!